Here’s what the marinade looked like in 2015. The label has changed since then. 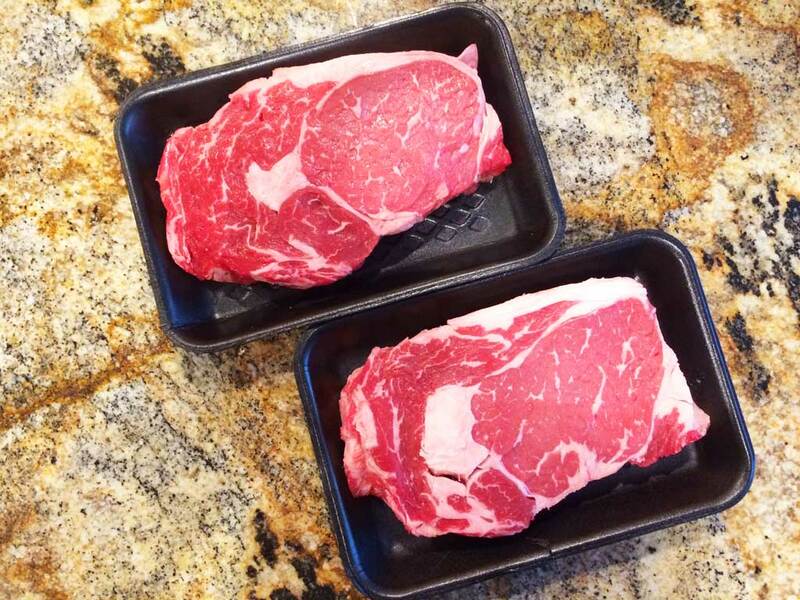 Get yourself a couple of good quality ribeye steaks, at least USDA Choice grade. 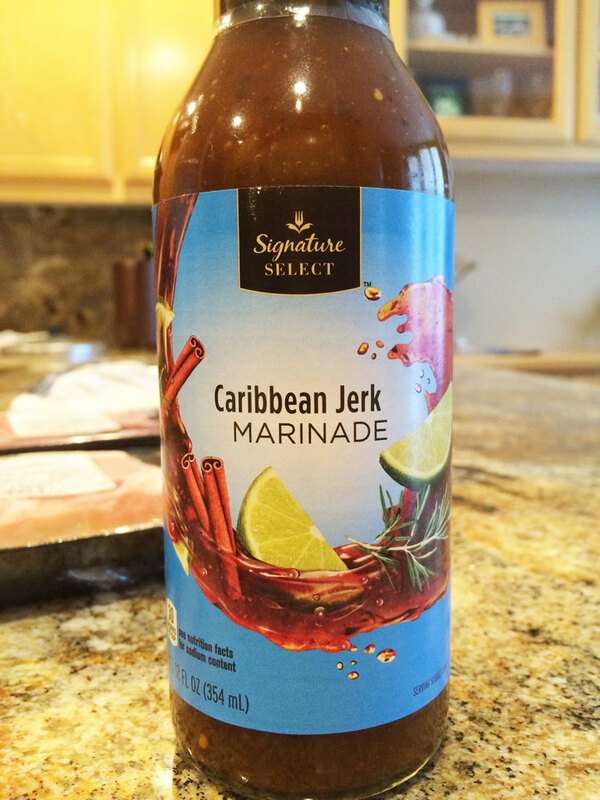 Marinate the steaks in jerk marinade in the refrigerator for 1 to 2 hours. When ready to grill, preheat your Weber gas grill on HIGH for 10-15 minutes. When hot, turn all burners down to MEDIUM and clean the grates with a good quality grill brush. 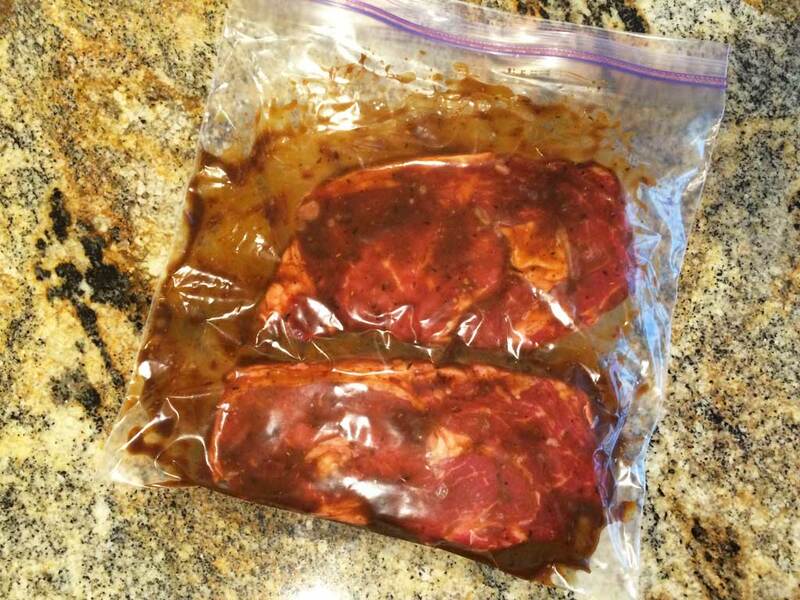 Remove the steaks from the marinade and pat dry with paper towels to remove excess marinade. 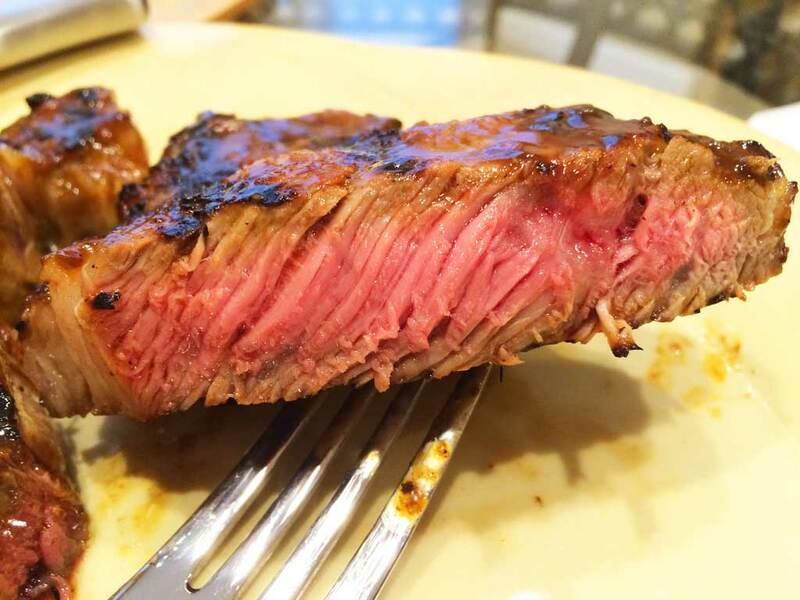 It’s hard to get a good sear on meat when the surface is wet. Place the steaks on the grate and grill for 2 minutes, then turn to the other side and grill 2 more minutes. Flip back to the first side, turning the steak 90° to get a nice diamond pattern grill mark, and grill 2 more minutes, then repeat for 2 more minutes on the other side. 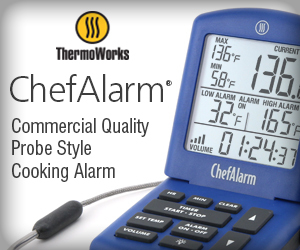 You’re looking for an internal temperature of 130-135°F for medium-rare, 135-145°F for medium doneness. 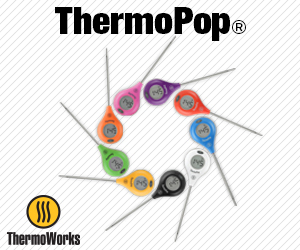 Use an instant-read thermometer to measure internal temp in several locations and average the results. At the end of cooking, use a basting brush to apply fresh marinade to both sides of the steaks for moisture and flavor. 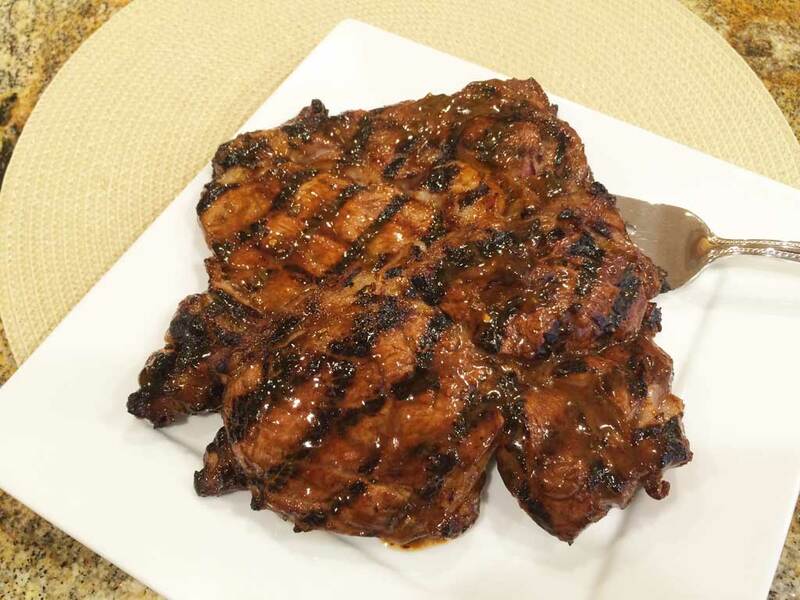 By the time you get these steaks off the grill and onto a plate and sit down at the dinner table, they will have rest enough to let the juices redistribute inside the meat. 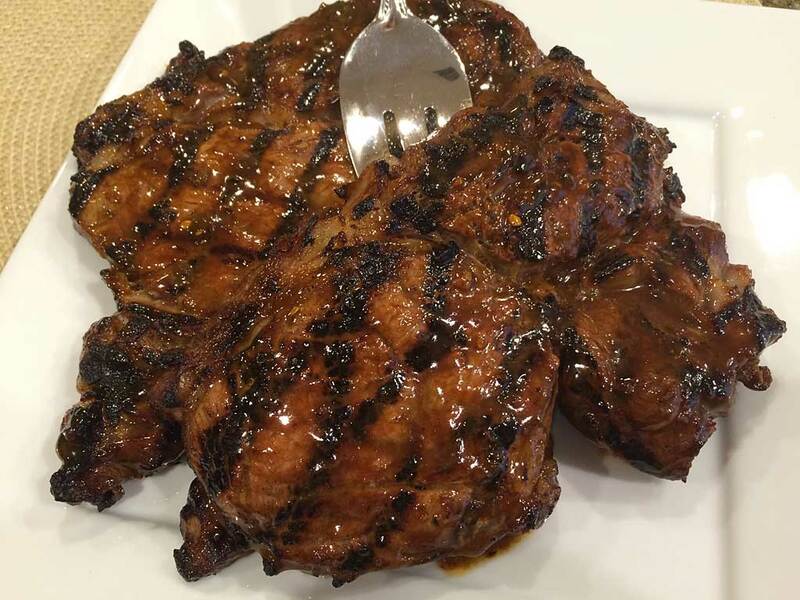 Good color, nice grill marks, tender meat and great flavor with a little heat from the jerk marinade. 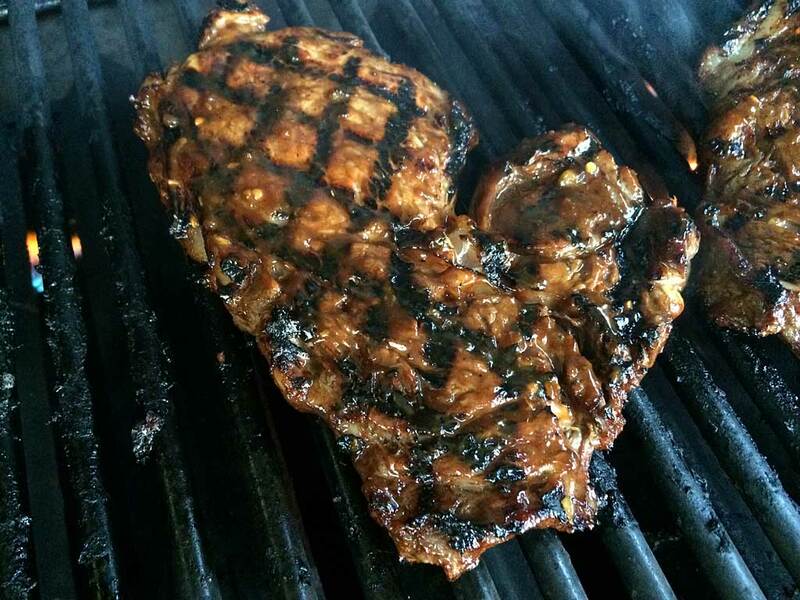 Give these Caribbean Jerk marinated ribeye steaks a try. I think you’ll find they’re unforgettable!